Property Specialist Fitzgerald & O'Connor D.A.C. Licence No. 002633. This is an excellent opportunity to acquire a Dwelling House & Out buildings overlooking the entrance to Portmagee Harbour the property consists of C 1.00 acres just 1.5 Klm's from the award winning village of Portmagee. 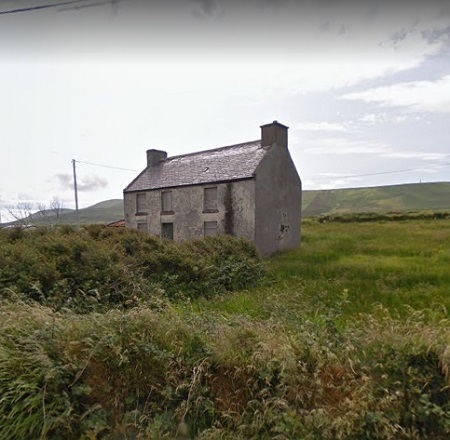 The House which is in need of extensive renovation leads onto the road known as the Skellig ring road on the Wild Atlantic Way, and is just a short distance to Reencaragh Slip way and Beach. 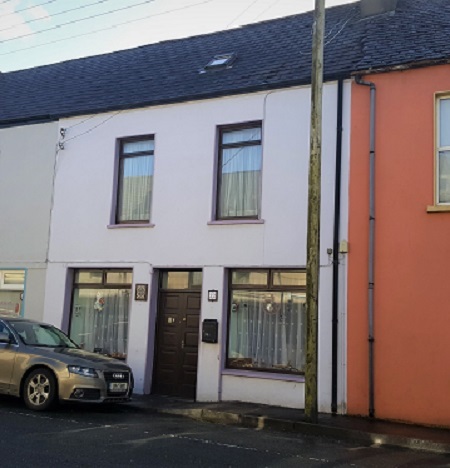 This building which is located in a prominent location at Church Street, Cahersiveen, has the potential to become a business premises (Subject to planning), due to its location. It is presently laid out a 3 bed private house with a 2 bed Flat on the top floor. The site to the rear of the property can be accessed by vehicle along the lane way. 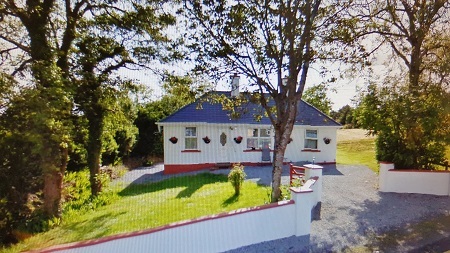 Detached 3 bedroom bungalow,with a two bedroom appartment on a landscaped site of C. 1/2 acre, within 2 miles of Cahersiveen town, the property is just off the main ring of kerry road and overlooks the Fertha estuary. 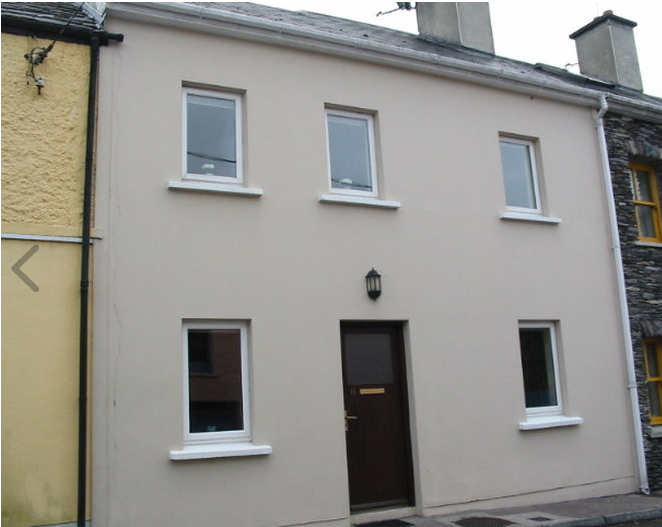 This three bedroom terraced property is located in a quiet area of the busy market town of Cahersiveen, the property was completely renovated in 2000, and comprises of 3 Bedrooms Large Sitting room and Kitchen/Dining Area, with the Attic space completely floored out providing excellent storage space. 9 Fair Green, Cahersiveen, Co. Kerry. 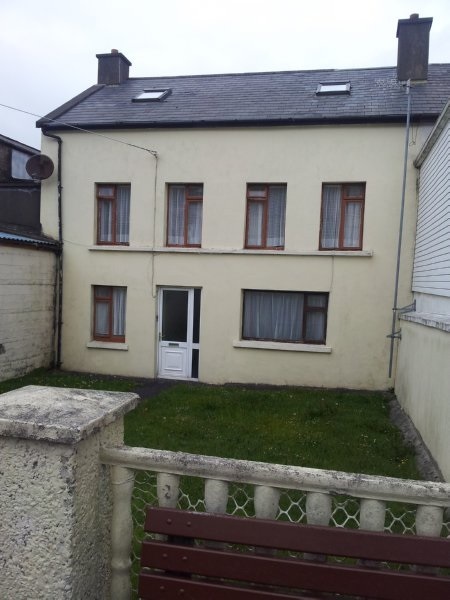 This recently refurbished 3 Bedroom property is presented in good decorative order, and its location overlooking Fair Green is convenient to all amenities in this busy market town of Cahersiveen, the property also contains sitting room, Kitchen and Bathroom on the ground floor, with lean to shed at the rear of the property, the property also has the benefit of a side entrance with a hard stand area for parking. 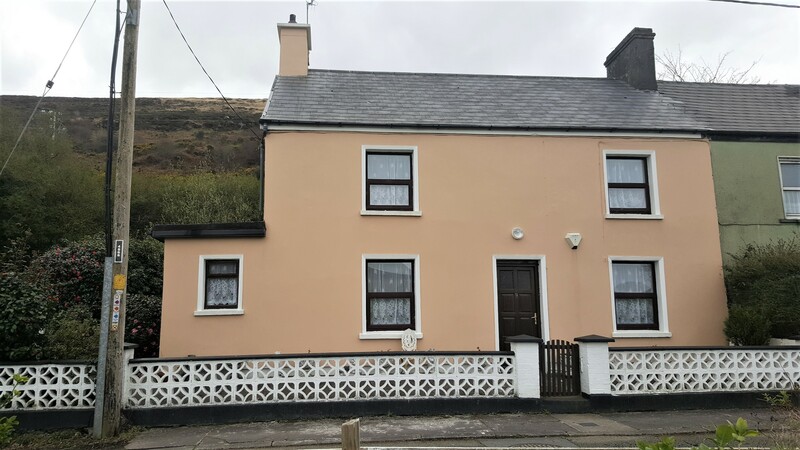 This two bedroom Property is located on the South eastern Shore line of Valentia Island, on an ample site of C. 1 acre, the property also contains, Kitchen, Utility, Sitting Room, Bathroom, Toilet and Conservatory, with the benefit of its own slipway, this would be an ideal home for the boating/fishing enthusiast. 22 New Street, Cahersiveen, Co. Kerry. 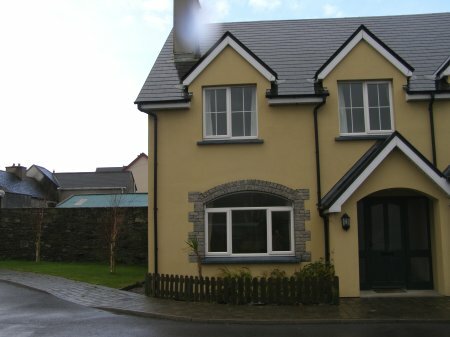 This substantial property which was previously used as "Katie's" Cafe, and is now occupied as a private residence is in good decorative order, the ground floor contains large front room, Kitchen, toilet & Shower area, with the first floor containing, Office, 2 Bedrooms, & Toilet/Shower area, the top floor contains large bedroom. The property is located at New Street and is close to all amenities that the town has to offer. This property has the flexibility of being either a private residence or commercial, subject to approval. No 4 is part of Reenellen Development which is a suberbly designed and located group of Houses and apartments on the shore of Valentia Harbour, it has direct access to the seashore and this house consists of 1175 sq ft in a very convienent location. This period semi detached residence built on a substantial site of C. .50 of an acre. The property retains many of its original features and comprises of 5 Bedrooms, Sitting Room, Kitchen, Utility, ground and first floor Toilets. 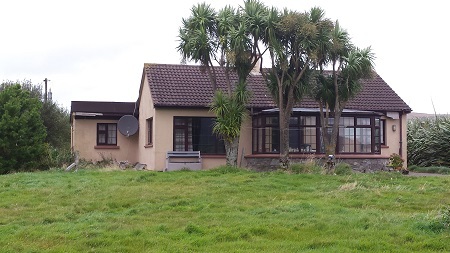 This detached 3 Bedroom bungalow is located on the main ring of kerry road approx 3 Klm form the village of Waterville. 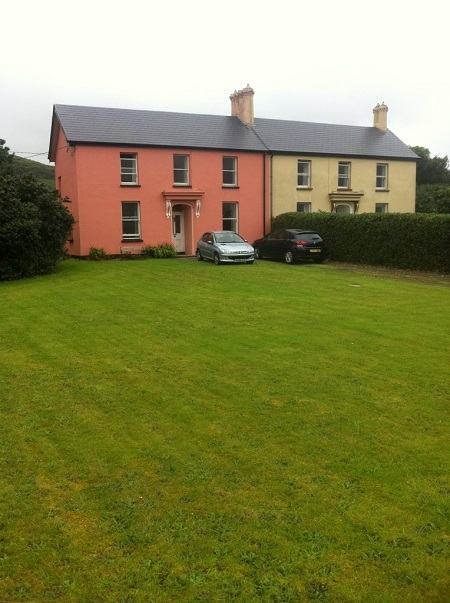 on C 1.186 acres , the house , also contains Kitchen, Utility, Living room and Bathroom, The property is just 5 klm from the Blue flag beach of Ballinskelligs and the town of Cahersiveen. Fitzgerald & O'Connor D.A.C. is Licenced by The Property Sercives Regulatory Authority, Licence No. 002633. The Particulars in this Website are set out as a general outline for the guidance of intending purchasers and do not constitute part of, an offer or contract. All descriptions, Dimensions, references to condition and necessary permissions for use and occupation, and other details are given in good faith and are believed to be correct, but any intending purchasers should not rely on them as statements of fact but must satisfy themselves by inspection or otherwise as to the correctness of them. Fitzgerald & O'Connor Ltd's Auctioneering have been trading in the Auctioneering/Estate Agency trade since 1979 and focus on property sales in the Iveragh peninsula (South Kerry), including Cahirsiveen, Derrynane, Sneem, Valentia Island and Waterville. They deal with residential property, commercial property as well as sites & land.